As temperatures rise, it’s time to get your garden ready for outdoor dining and lounging. But if you're more concerned about temperatures rising globally, why not combine shopping for the garden with doing your bit for the environment? 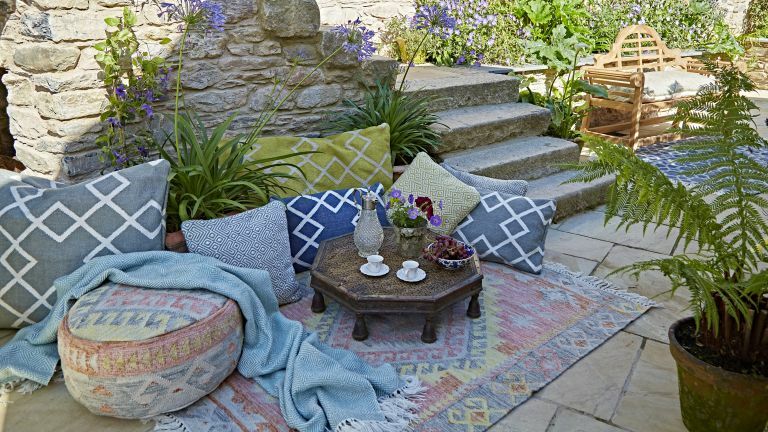 Weaver Green’s striking, artisan-made cushions, rugs, footstools and throws are the perfect choice for outdoor comfort, with all the softness of wool or jute. But - would you believe - they are made from recycled plastic bottles, which gives them the added benefit of being waterproof, stain resistant, machine washable and suitable for indoor and outdoor use. The Tarifa rug, shown above, is priced from £169; the Nomad Tarifa round footstool, £187; cushions, from £50; blankets, from £45; and the bags below cost £45 each. We love a good excuse to go shopping.